Greetings from Cofradía, Mexico! What a month! 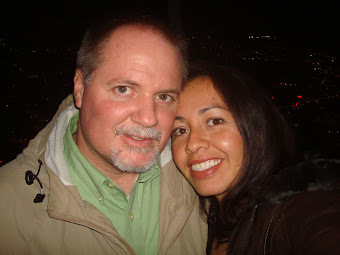 I have not had time, nor do we have sufficient internet to report on our blog. I will get the reports done as soon as I can for those who are interested in reading, watching videos, and seeing pictures of everything that has gone on. Be looking for a special email with links to those reports. A mixture of emotions flew through our ministry and lives this month as they ranged from experiencing extreme excitement to sincere sadness. In the midst of the ups and downs, our hearts remain at peace and our faith has been firm. 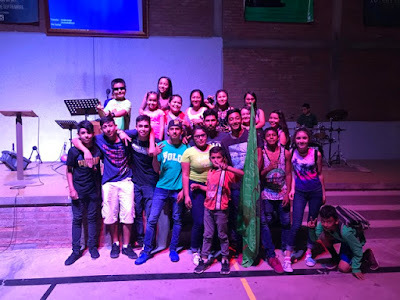 Our annual Student Ministries outreach, EL RETO, has come to a close (see below in last month’s requests). The team, “Los Decididos” (The Decided Ones), came out on top this year. 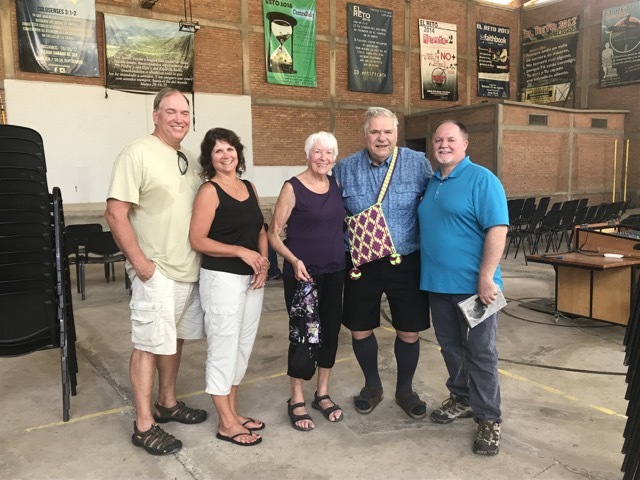 A special visit from hometown friends (The Sluys), was an absolute pleasure! The Freedom in Christ Conference in Mexico City was a huge blessing (see below in last month’s requests). 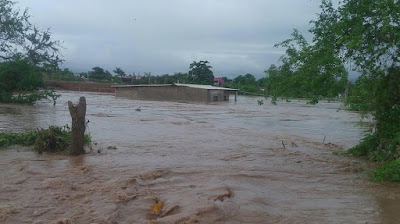 Hurricane Willa devastated nearby city Tuxpan, Nayarit. There is so much work to be done; it will take a long time to restore this city. Our friend, Pastor Abimael (in the red shirt in the above picture) and his wife’s house was flooded and everything they had was inside their house. They are trying to salvage what they can and trust in the Lord as they continue to serve him. Their church building, church family, and community all have the same story. Many houses were under water and two weeks later (today), some streets are still full of water and mud. There is garbage everywhere from people emptying their houses. We have gone to help a few times to clean and hand out food and supplies. I will write more in the upcoming report, but I have set up a link for you to contribute in the meantime. Please consider helping. 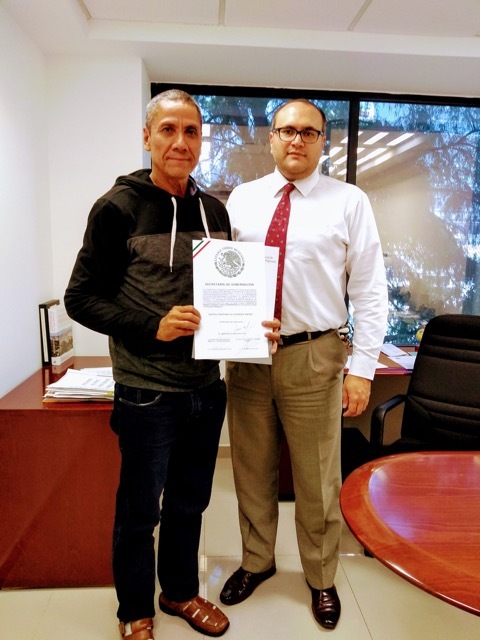 Religious Association--it has become official, we are now a registered ministry in Mexico! David Medina. Thank you for your prayers for David. He had a very successful surgery, but was left with partial facial paralysis which the doctors are saying is due to him being nervous. We are praying that that is completely healed as well. They continue to do studies on the gigantic rock-like substance to confirm there is no cancer. EL RETO 2018 came to a close the first Saturday of October with special speaker and author from Mexico City, Ernesto Ramirez, and worship leaders from Tepic; Pedro Castellanos and Hernan Mercado. “Choose Truth” proved to be a very appropriate theme this year as it opened up many opportunities to talk about what is truth. Please consider how you can help with next year, EL RETO 2019, by becoming a monthly sponsor now: $25 a month goes a long way for us! Click here to become a sponsor of this event. Called to Freedom 2018. 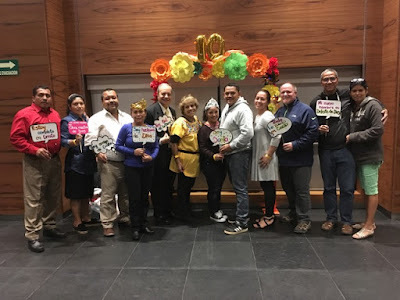 We had an amazing time celebrating with William and Lourdes Gallardo and there team in Mexico City for the 10th anniversary of Freedom in Christ Ministries in Mexico. We drove all day Thursday and spent all days Friday and Saturday in the Conference. It was a very refreshing time and we really enjoyed meeting the speakers and the staff. On Sunday, I spoke at a friend’s church and we met with our lawyer who has been working on our Religious Association papers (which have been finalized now!! Yay!!). Monday we spent the day in the center of town site seeing and keeping an eye on Hurricane Willa as it was set to cause damage from San Blas to Mazatlan—we’re in the south part of that projection. We left Monday evening and drove through the night in order to beat the storm. 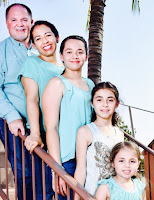 The Well Church from Salt Lake City will be with us on Saturday to build a house for a family in Cofradia. We have poured the floor and are working on the final preparations for the team. 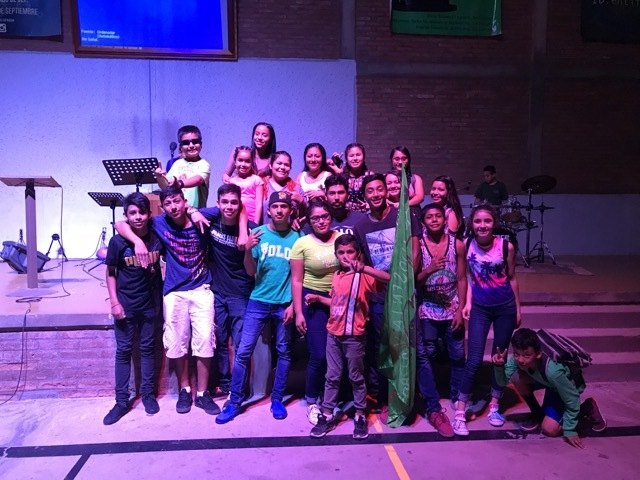 (New) Pastor Frank Uribe and his wife working with children in the nearby town of Paramitas. Their hearts are to start a feeding program that will open doors for them to share the gospel with children. David Medina. Continued prayer for a full, healthy recovery from surgery. Disaster Relief for Tuxpan. Most of our friends who are from Tuxpan have lost almost everything. Please pray that the Lord would use this for His glory and draw people to Himself. This is the city where Rebecka goes to High School, which had over 6 feet of water go through the campus and destroyed the property wall in front. They have been forced to rebuild and have cancelled classes until January. Many of us have been going to clean and taking food and supplies to help our friends and spiritual family. There is a lot of rebuilding to do and if you would like to help financially, you can make a tax-deductible contribution and send a check made out to “Alternative Missions” and mail it to the support address below marking it as Cofradía Disaster Relief, or donate online here. 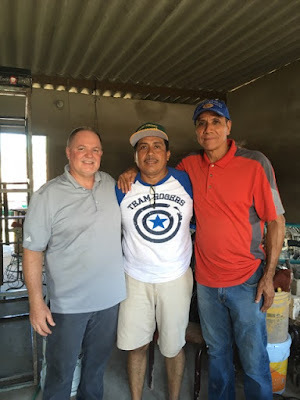 The Well Church from Salt Lake City will be with us on Saturday to build a house for a family in Cofradía. Pray for safety, good health, wisdom, and opportunities for the family to commit their lives to Christ. Here is a video of when we informed the family of the news (the audio is really bad, but there are sub-titles).